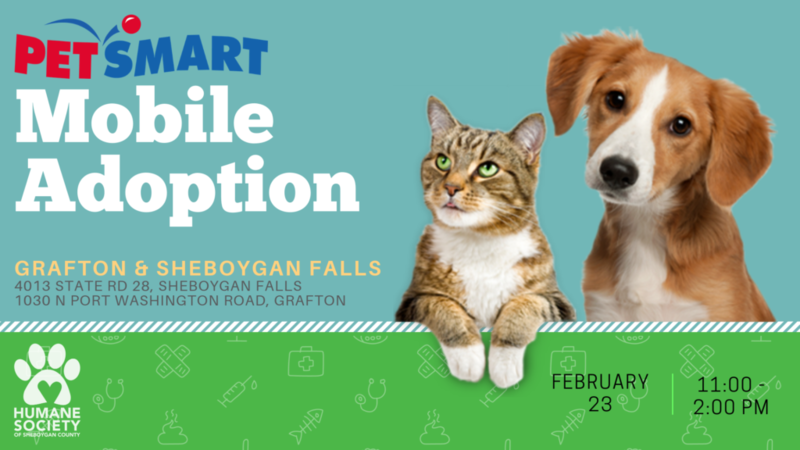 hope to see you at PetSmart Sheboygan Falls and PetSmart Grafton! We will be doing same day adoptions for all cats and kittens! Name your own adoption fee for all adult cats. Don’t forget your cat carrier to bring your new furry friend home!